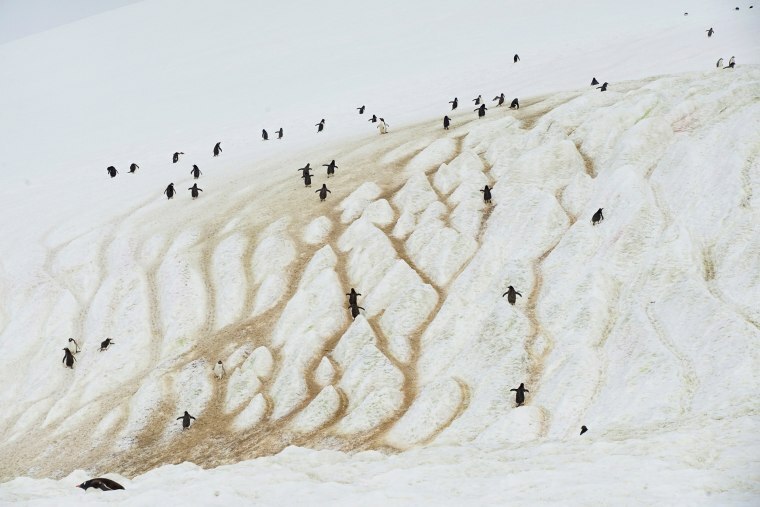 Penguins climb a mountain on Danco Island, Antarctica, Feb. 14, 2018. 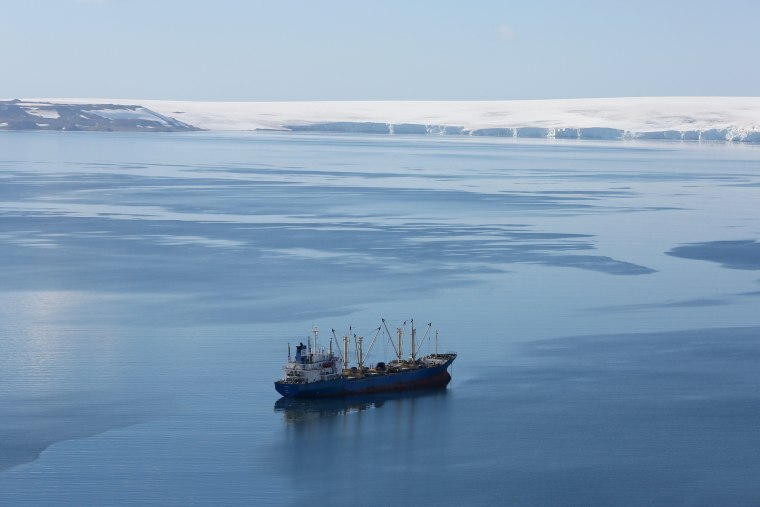 The Greenpeace ship Arctic Sunrise made the journey to an area the European Union wants to make a safe haven for marine life from industrial fishing. 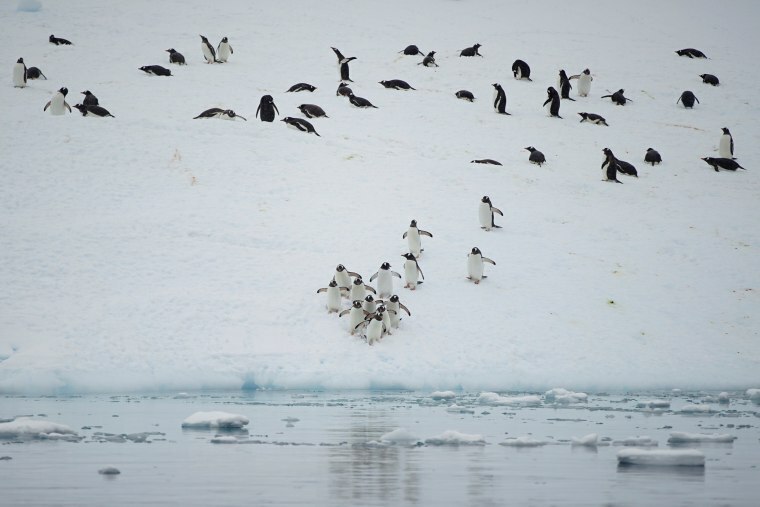 Penguins congregate on Curverville Island on Feb. 15. 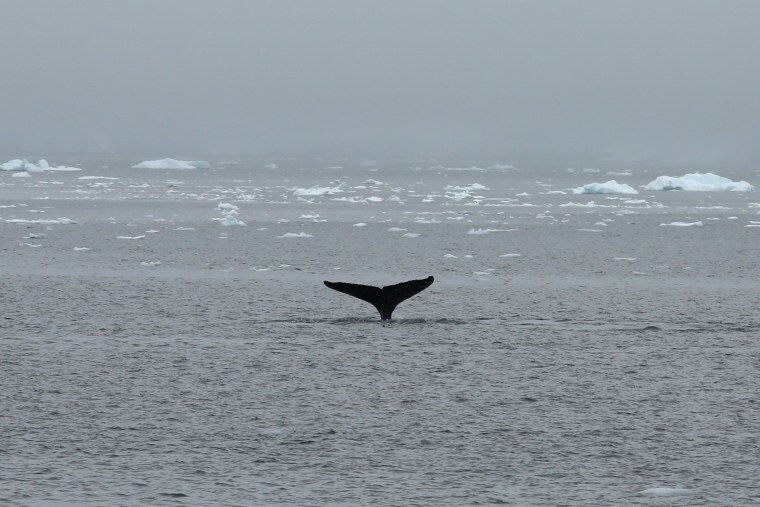 A whale swims in Selvick Cove on Feb. 13. A krill fishing ship of unknown nationality rests in Half Moon Bay on Feb. 18. 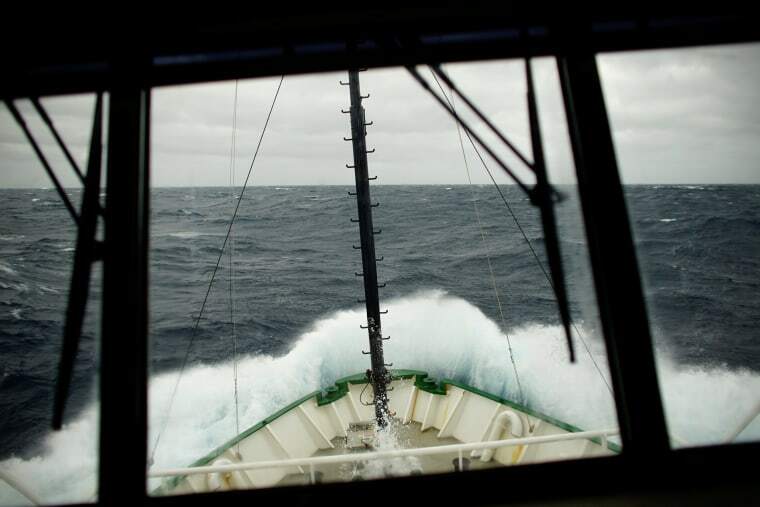 Waves break on the Greenpeace ship Arctic Sunrise at the Drake Passage as it navigates towards the Antarctica Peninsula on Feb. 10. 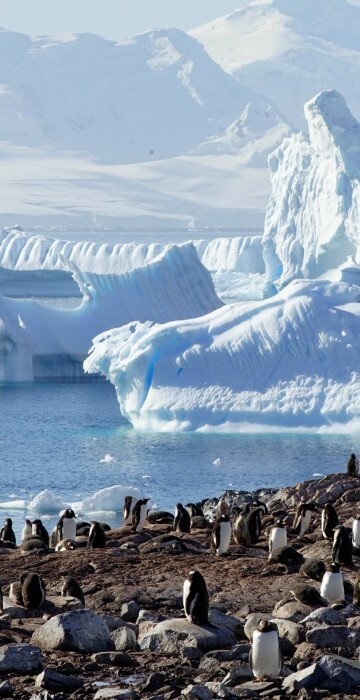 Designed as an icebreaker, the ships rounded, keelless hull allows it to navigate through sea ice. 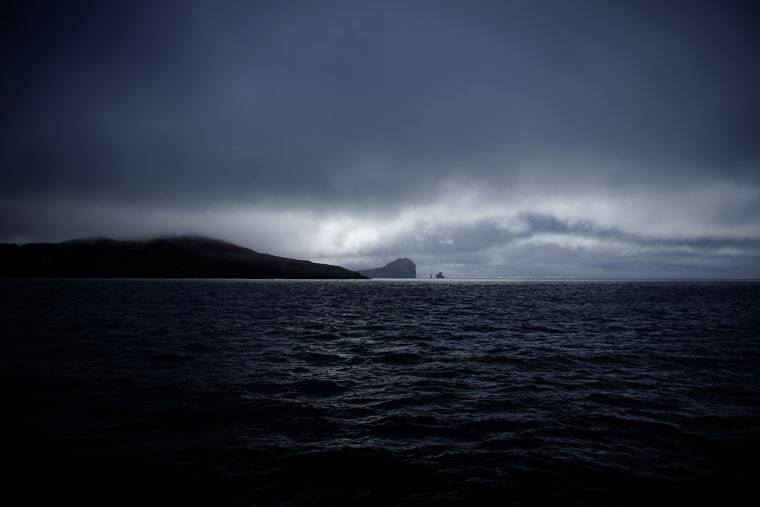 A Greenpeace boat sails in Andvord Bay on Feb. 14. 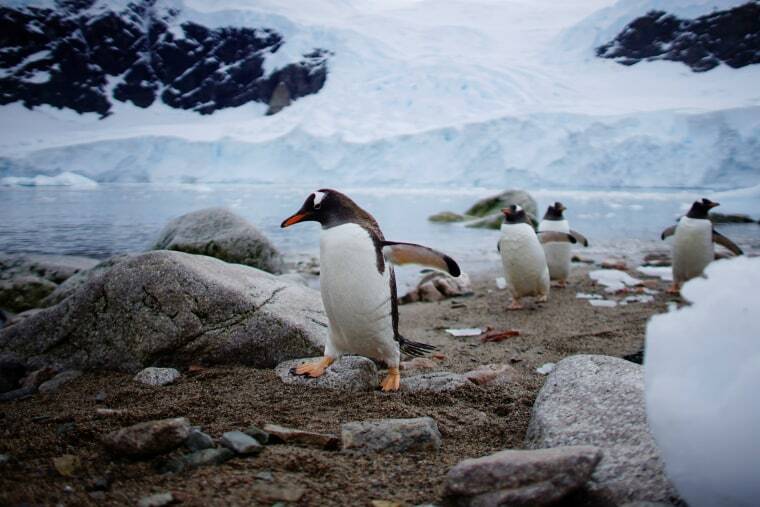 Penguins come ashore in Neko Harbour on Feb. 16. 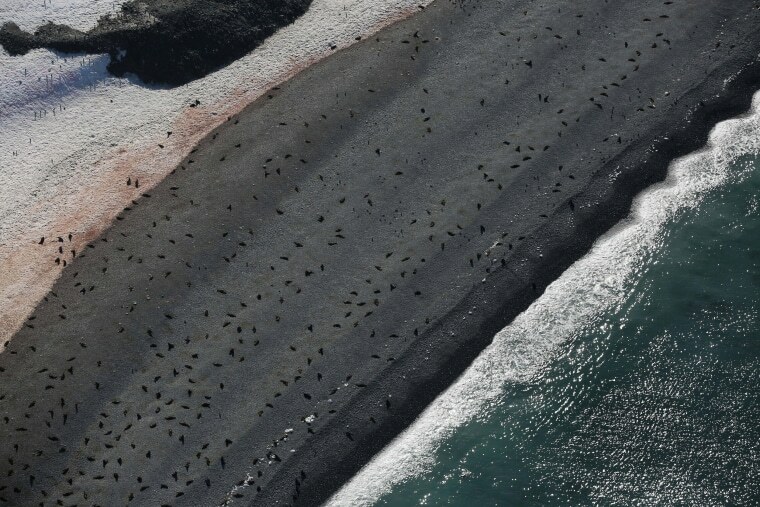 Seals lie on a beach in Half Moon Bay on Feb. 18. 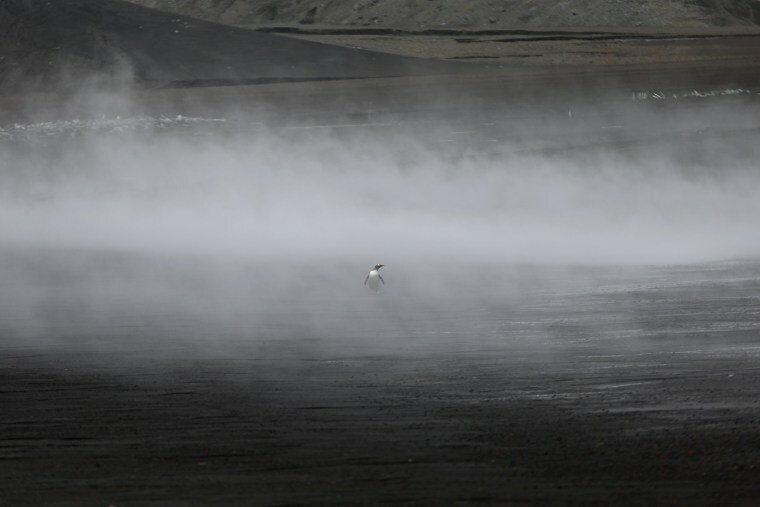 A penguin walks through the geothermal fog on Deception Island, which is the caldera of an active volcano in Antarctica, on Feb. 17. 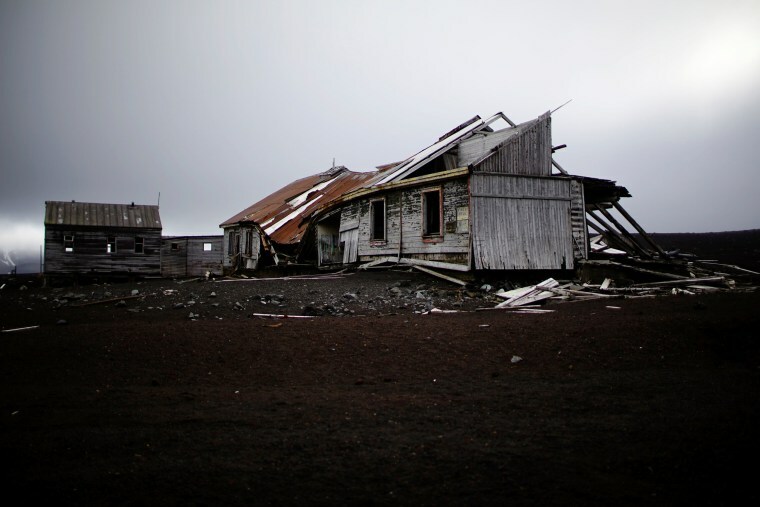 A house belonging to an old whaling factory resides on Deception Island, on Feb. 17. 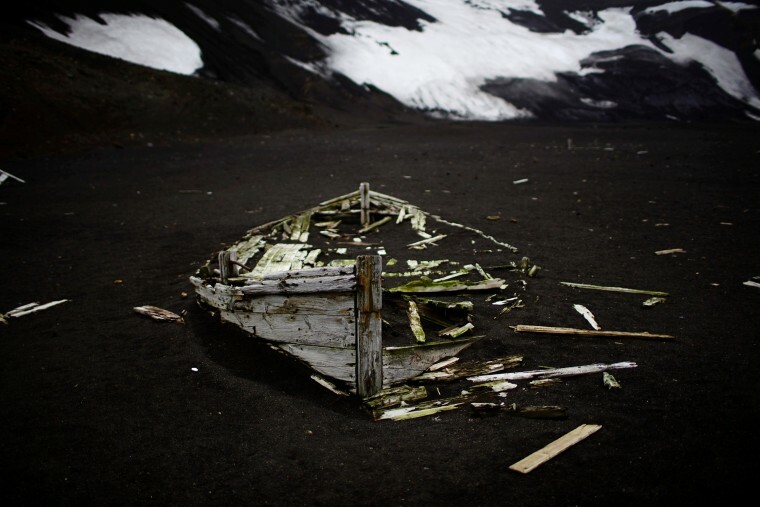 Remains of a boat belonging to an old whaling factory lie on the ground on Deception Island, on Feb. 17. 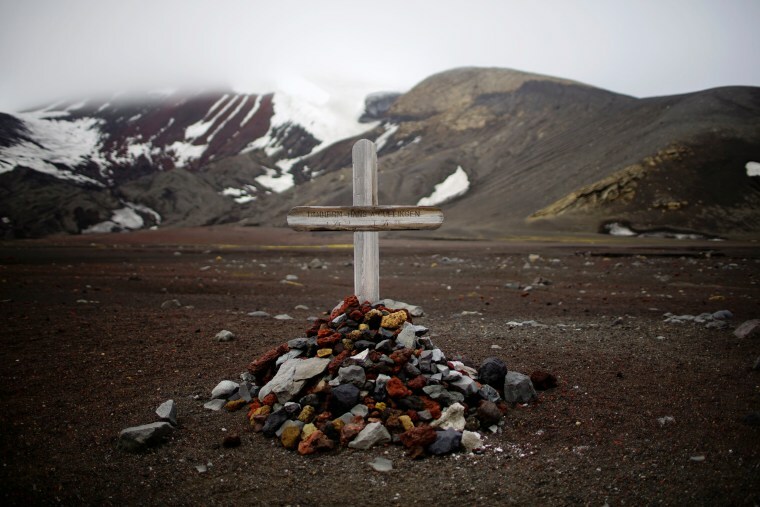 A tomb resides at a little cemetery on Deception Island, on Feb. 17. 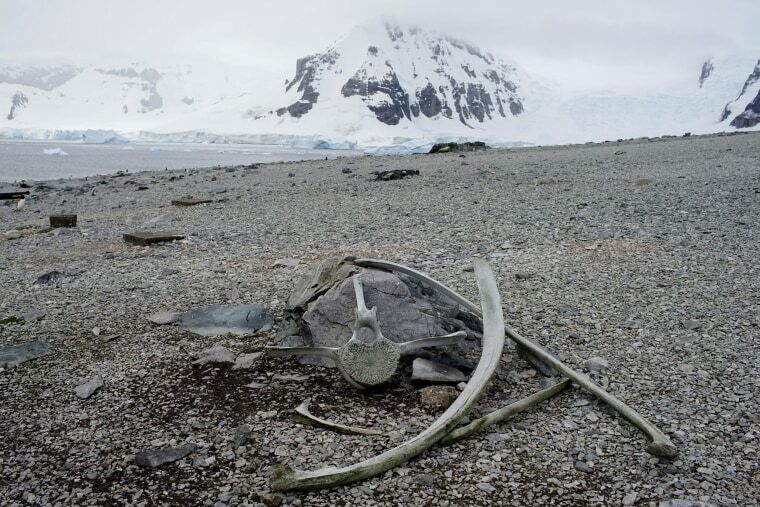 A whale's bones are left on Danco Island on Feb. 14. 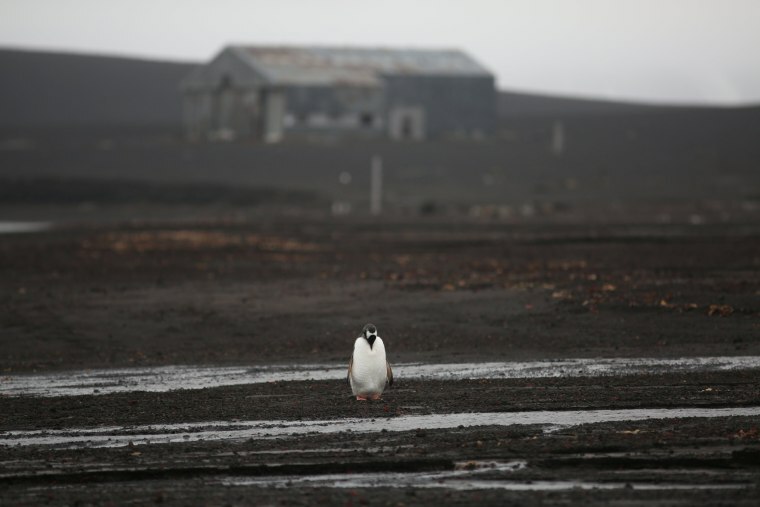 A penguin walks next to an old whaling factory on Deception Island on Feb. 17. 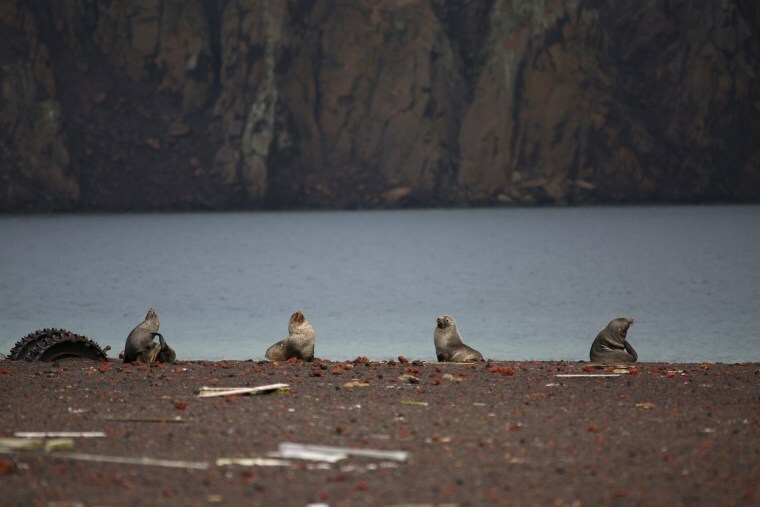 Seals gather on Deception Island on Feb. 17. 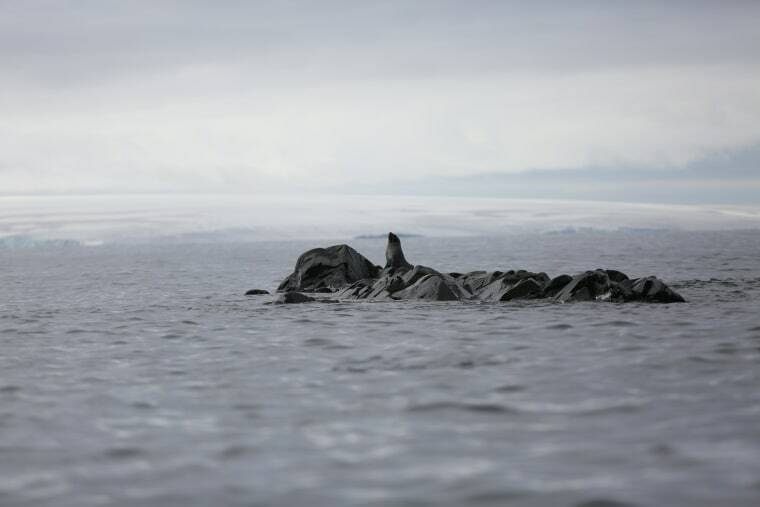 A seal rests over a rock in Maxwell Bay on Feb. 19. 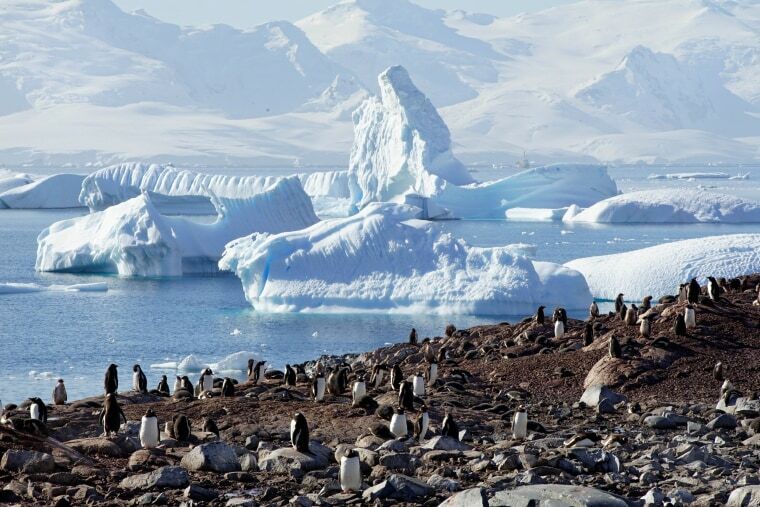 Penguins swim next to a glacier in Neko Harbour on Feb. 16. 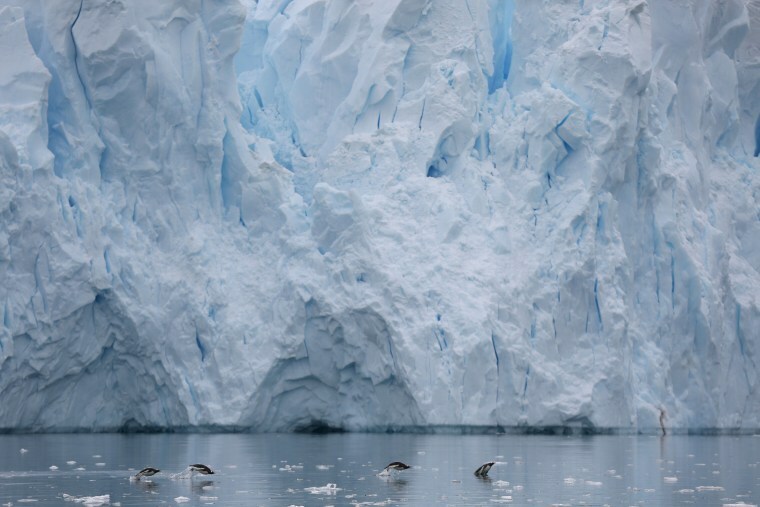 Penguins make their way down an iceberg in Andvord Bay on Feb. 14. 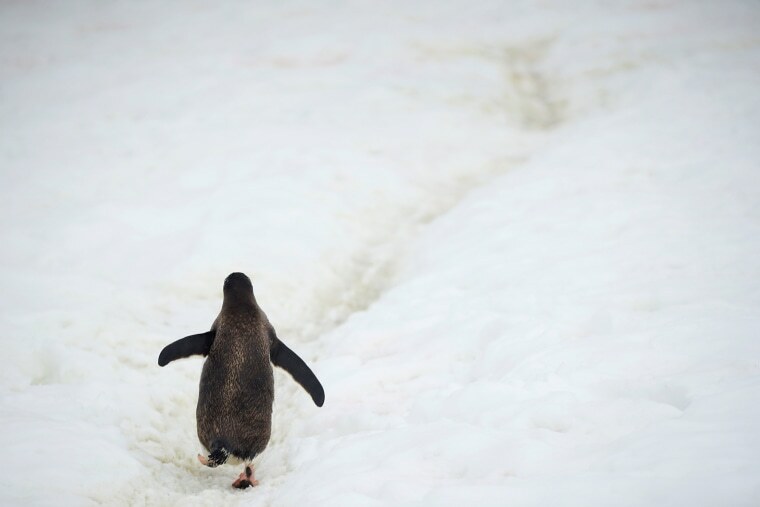 A penguin walks on Danco Island on Feb. 14. 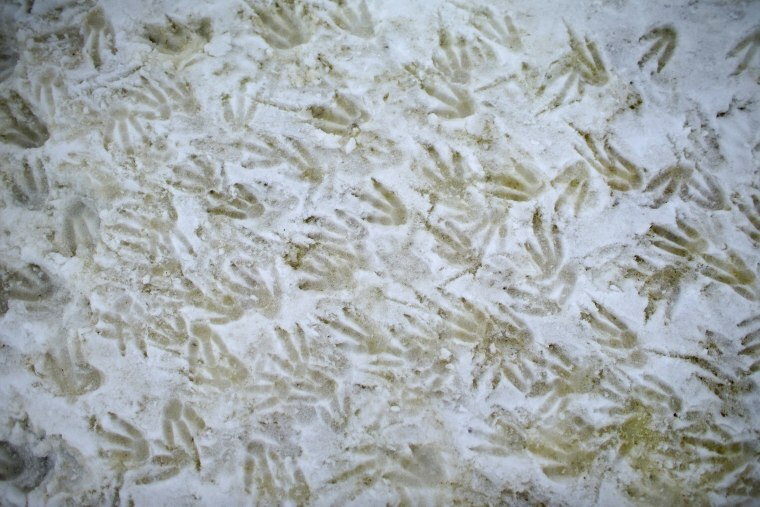 Penguin footprints on Danco Island on Feb. 14. 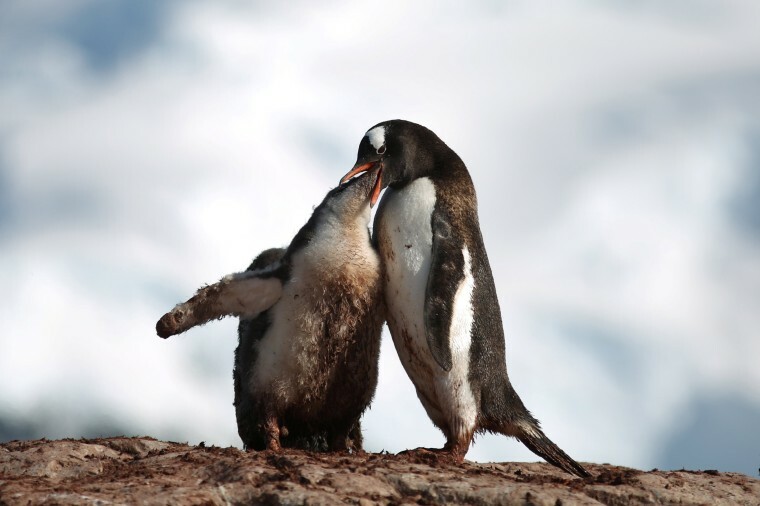 A penguin feeds a young one on Curverville Island on Feb. 15. 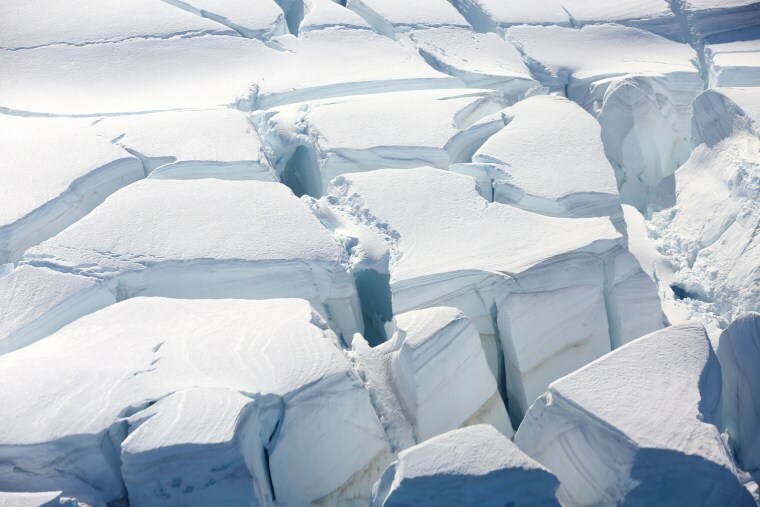 The deep crevices of a snow-covered glacier in Half Moon Bay on Feb. 18. 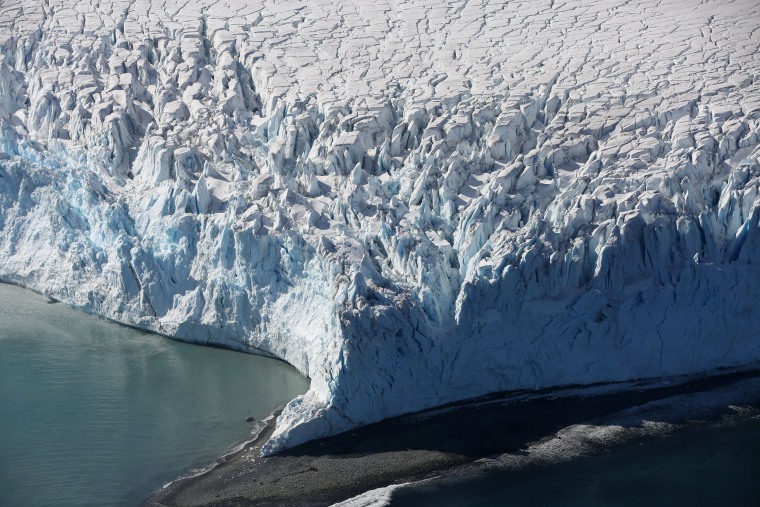 A glacier in Half Moon Bay on Feb. 18. 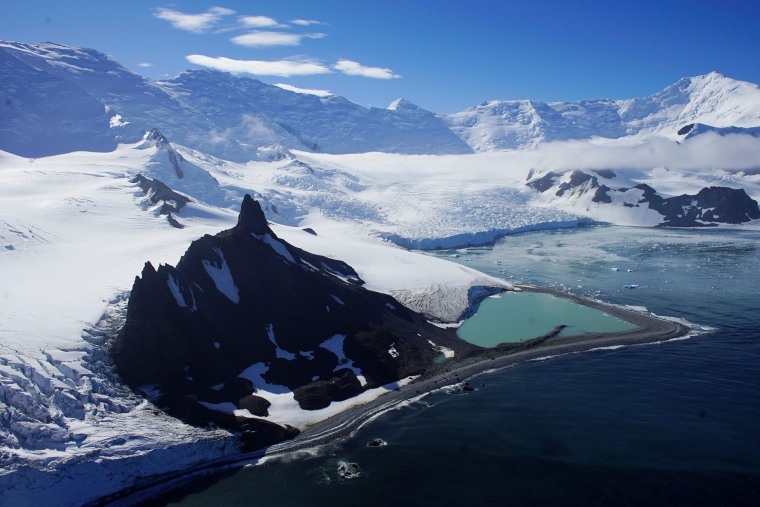 Glaciers in Half Moon Bay on Feb. 18. 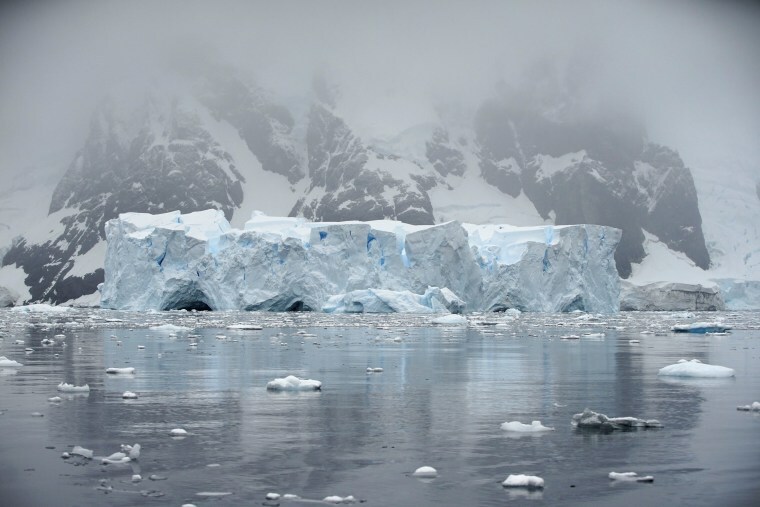 An iceberg floats in Andvord Bay on Feb. 14. 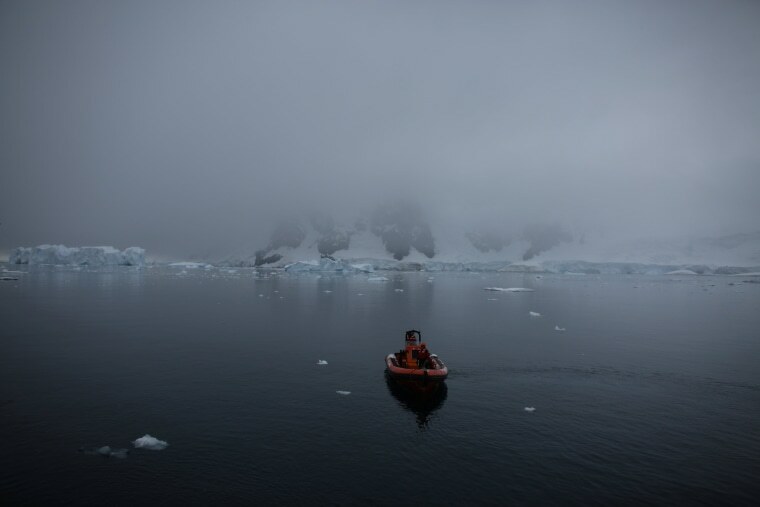 Deception Island is surrounded by fog on Feb. 17. 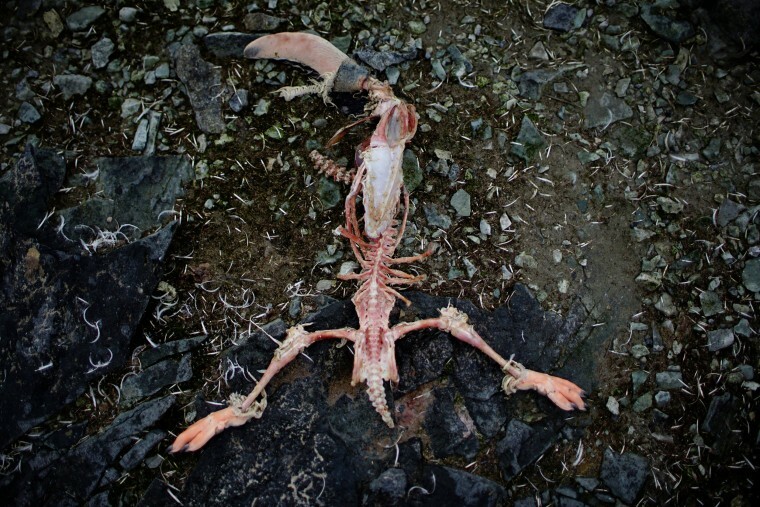 A penguin's carcass on Danco Island on Feb. 14.